A review on Fish Party Slots game by Microgaming offering Free Spins to real money players. Well, parties aren't only done among humans, sometimes the aquatic life is also lit because of the fishes partying. Yes, this is true! The marine life is also ready with their party props and is inviting all the gamblers and slot lovers across the world to its epic bash. We are talking about the 5 reels, 3 rows and 243 paylines slots game called Fish Party, powered by Microgaming Quickfire. This online slots machine has got cartoon like fish symbols with different facial expressions, some with a wide grin, some with an open wide mouth, some surprised while some amused. But along with an exuberant animated fishy slots game, a player playing for real money will also win free bonus spins, multiplier bonuses and jackpot prizes in this aquatic party. So, what are you waiting for? There's ain't no party like a Fish Party! Hit the 'Play Now' button and dive into the deep ocean waters to find your box of treasure aka bonuses. How to Play Fish Party Slots Game? Select your gaming device and launch the Microgaming slots game, Fish Party onto it. Down below, from the Coin Size button, you can select the coin size. It ranges from 0.05 to 0.02 to 0.01. Just below that, from the 'Coins Bet' toggle, players can increase/decrease their bet size from 1 to 10. The 'Total Bet' section will show your betting amount and now you're ready to hit the red – colored 'Spin' button. Wait for the reels to stop and you can win 97,000 coins, free spins on getting scatter symbol, gamble your winnings etc. With the 'Auto Play' button, you can choose to have up to 100 Auto Spins. This automatic spinning round can also bring you plenty of real money winnings. Every bet played shall be the same as the game that triggered the Free Spins feature. Scatter symbol shall pay in any position. Scatter wins shall get multiplied by the total bet amount. Scatter wins shall get added to way wins. All the wins shall pay from left to right side of the reels except for the scatter symbol which shall pay none. Way wins shall get multiplied by the bet amount. Per way, multiple winning combinations shall be awarded. A player getting more than one regular winning combination per way for different symbols shall be paid out for every combination. Players shall be paid out the value of the highest win if there is more than one regular winning combination for the same symbols per way. Only the highest winning combination shall be awarded per symbol combination. The representation of this slots game is quite interesting with all the different colored fishes appearing on the reels placed in a deep sea. The slots screen represents the blue waters with varied fish symbols, hence, giving the player a first glimpse of how wondrous it would be for them to spin the reels of this online slots machine. This 243 paylines slots game is not only about its watery and fishy theme but it also gives the player a reason to party with a chance of winning a progressive jackpot amount up to 97,000 coins. Scatter Symbol: A Clam peeping out of a sea shell is the Scatter symbol in Fish Party slots game. Getting 3, 4 and 5 scatter symbols will let the player win maximum 20 Free Spins. Free Spins Symbol: The Free Spins symbol is the same as the scatter symbol i.e. a clam peeping out of a sea shell. Wild Symbol: 'Fish Party' is the wild symbol in this slots game. This wild symbol will substitute for every other symbol in this game except the scatter symbol. 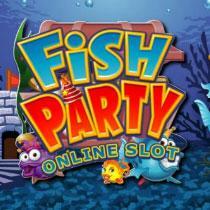 Fish Party slots game is powered by the software giant of the online gaming industry, Microgaming Quickfire. 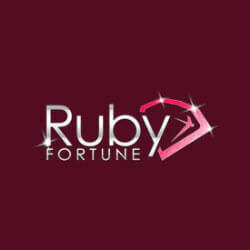 This software brand was developed in the year 1994 and brought its first mobile casino software in 2004. Since then, it has won numerous prestigious awards for its brilliant services delivered to the real money players. Microgaming has earlier backed up the most epic games such as Avalon II, Mega Moolah, Jurassic Park, Immortal Romanceand many others. Just like these popular slot machines, Microgaming Quickfire has also powered an online slots game called Fish Party. This online slots machine is a bonus laden game which gives every player wagering real money a chance to party and because Fish Party slots is coming straight from the house of Microgaming, so it is definitely going to have something special for its customers. With progressive jackpots up to 97,000 coins, free bonus spins and loads of fun, Fish Party slots game is winning hearts since its inception. Free Spins/Scatter Symbol: 3, 4 or 5 Scatter symbols will trigger Free Spins. Players can get up to 20 free spins along with super stacked wilds. If during the Free Spins round, the Scatter symbol appears, then the Free Spins feature will get re – triggered again. With this bonus feature, players can win up to 97,000 coins. Stacked Wilds: Wild symbol (Fish Party games icon) will substitute for every symbol except Scatter symbol. During a regular game round, wild symbol will get stacked. During the Free Spins round, this wild symbol will expand to become a Super Stack symbol. Also, the wild symbol will make its own winning combination when different symbols appear on a pay way. Gamble Feature: This feature will enable the player to either 'Double' or 'Quadruple' their winning amount. When the 'Gamble' feature gets triggered, the player will get two options – one will be to choose between Red or Black Card Color, which will double up the payout of the player. Second option will be to choose between Red or Black Suit which will quadruple (4x) the winning amount of the player. This way players can gamble their winnings. Fish Party slots game is brought to you by Microgaming Quickfire and this serves as a proof enough as to how worthy it would be for all the real money players to play this very exciting slots game. Fish Party has 243 pay ways which implies that there are 243 different ways in which players can win. Microgaming is a very promising software company which never fails to impress its customers and by backing up Fish Party online slots, it has again done something exceptional. This is a slots machine with an underwater party theme and also the one where Free Spins and real money winnings galore. Do try Fish Party slots for free and when you're done with exploring this slots machine, then you can hit the 'Play for Real Money' button to enjoy some fun bonuses. Please enter your review for the Fish Party Slot .